In patients with left ventricular (LV) dysfunction and reduced ejection fraction (LVEF), transition to heart failure (HF) is often accompanied by progressive LV dilation and changes in ventricular architecture (the so-called LV remodeling) and decline in wall thickness-to-cavity radius, which is referred to as relative wall thickness (RWT), resulting in eccentric LV hypertrophy (LVH) . LV remodeling may occur after myocardial infarction, hemodynamic overload or primary myocardial disease [2, 3, 4]. Although the etiologies of these disorders are different, they share several pathways that ultimately lead to similar changes in LV size, shape and function . The ensuing development of pathological LVH and LV remodeling may ultimately be associated with a depression of LV performance and the intrinsic contractile state of the myocardium . Stress echocardiography, including dobutamine stress and exercise stress echocardiography (ESE), may endow with additional insights for the evaluation of LV performance and the prediction of changes in LV volumes . Evaluating global myocardial function by stress echocardiography is crucial to distinguish between adaptive or maladaptive LV remodeling in patients with LV systolic dysfunction. The identification of viable tissue relies on the identification of an enhanced contractile response in segments of apparently non-contractile myocardium, usually supplied by stenosed coronary arteries. On the contrary, the assessment of the global pumping capacity during dobutamine challenge or exercise testing is essential to examine the overall ability of the myocardium to comply with the hemodynamic and metabolic needs of the whole body [8, 9]. 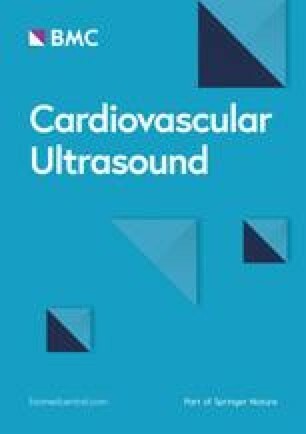 A number of stress echo studies have been conducted to evaluate the global contractile response of dysfunctional myocardium in patients with HF using different parameters, including changes in LVEF, changes in wall motion score index, changes in end-systolic volume (ESV), cardiac power output-to-mass (CPOM) and the end-systolic pressure-volume relation (ESPVR; i.e. LV elastance) [10, 11, 12, 13, 14]. In the present study, we sought to investigate whether the assessment of LV contractile performance during ESE testing may be useful to predict the risk of adverse LV remodeling in patients with HF and reduced or mildly reduced LVEF. LV remodeling is usually the result of a progressive process that starts with myocardial damage or excessive LV overload and is very often characterised by the slowly progressive increment of LV volume, increased LV mass and reduced RWT. Since LV overload is initially matched by an adequate growth of cardiac myocytes, the chamber radius is increased, and the wall thickness is increased moderately. To some extent, the initial remodeling may be considered beneficial as the stroke volume may be preserved by augmenting cavity size, but, when the left ventricle further dilates, this adaptive mechanism may progress toward maladaptive remodeling and maladaptive (high-stress) LVH [20, 21, 22]. In our study, the results of the ESE testing showed that LV contractility, that is the intrinsic ability of the myocardium to generate force and to shorten independently of changes in loading conditions (afterload and preload), as assessed by the evaluation of echo-derived ESPVR (LV elastance) in response to exercise, can predict subsequent development of adverse LV remodeling. The prognostic value of echo-derived ESVPR at increasing heart rate has been widely demonstrated with either ESE or pharmacological stress echo [30, 31, 32], but, to our knowledge, this study provides novel information over the relationship between impairment of contractility and the prediction of later adverse LV remodeling.